As opposed to a traditional fixed bridge, an implant-supported bridge preserves the integrity of the adjacent teeth and virtually stops the bone resorption process that naturally occurs where teeth have been lost. By maintaining the bone in the edentulous areas (the space without teeth), normal facial contours are supported and there is no appearance of a sagging or caved in look. As they are permanently anchored in the jawbone, implant supported bridges fully restore one’s natural biting and chewing capacity. 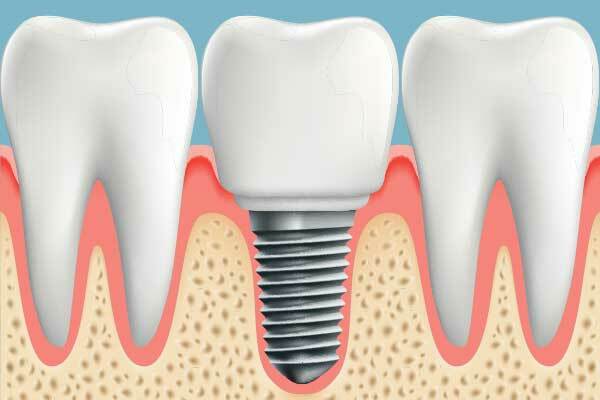 When all of the teeth in the upper or lower jaw are missing, dental implants offer comfortable, stable and cosmetically pleasing solutions to restore a functional smile. An implant-anchored overdenture is essentially a removable denture that clips on to either a ball or bar attachment in the front part of the jaw. The implant supported attachments help to provide added stability to the denture, keeping it in place and ensuring optimal comfort as well as function. Because the dental implants keep the denture from slipping or dislodging, there is no need to deal with any messy denture adhesives.